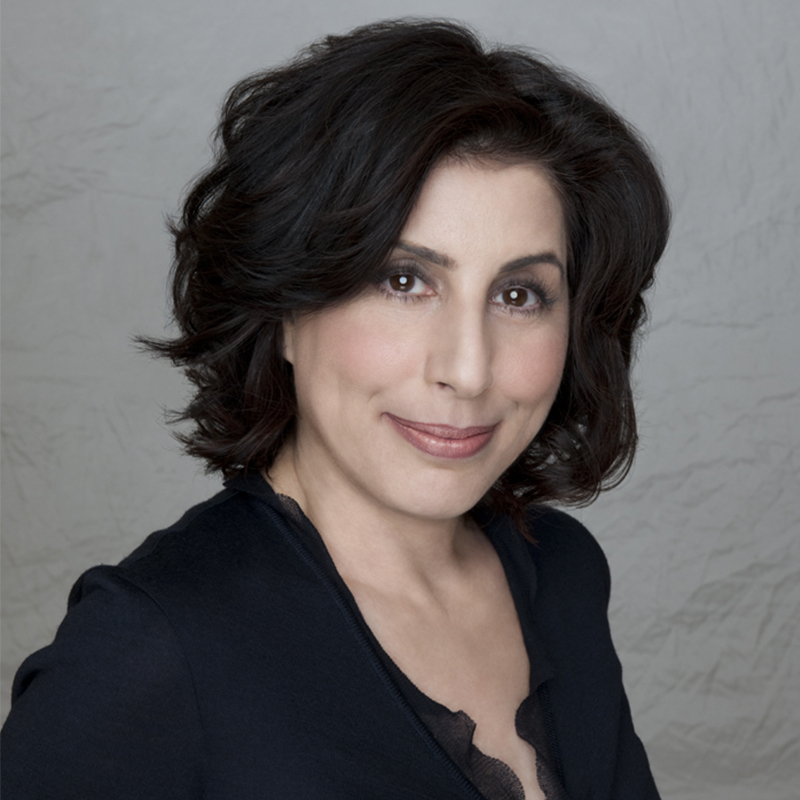 Sue Kroll serves as President, Worldwide Marketing and International Distribution for Warner Bros. Pictures. As marketing chief, she oversees the strategic creation and implementation of marketing campaigns for the studio’s global releases. Additionally, she collaborates closely with Greg Silverman, President of Warner Bros. Pictures Creative Development and Worldwide Production, and Toby Emmerich, New Line Cinema’s President and COO, on the strategic development of a diversified production slate to build upon the Studio’s legacy and impressive record of success. Kroll also runs Warner Bros. Pictures International Distribution, working with that division’s president, Veronika Kwan Vandenberg, as well as the Studio’s network of overseas offices and affiliates, on international releases, including features produced with select partners. She also works with Warner Bros. Pictures’ President, Domestic Distribution, Dan Fellman, on the Studio’s domestic releases. She was promoted to her current role in June 2013. In 2015, Kroll and her marketing team handled one of the industry’s most diverse release slates with titles such as Clint Eastwood’s critically acclaimed and record-breaking American Sniper, The Water Diviner, Mad Max: Fury Road, San Andreas, Entourage, Magic Mike XXL, Vacation, The Man from U.N.C.L.E. and In the Heart of the Sea. Since January 2008, when Kroll took over leadership of worldwide marketing—with responsibility for all aspects of Warner Bros. Pictures’ marketing, advertising, media planning, promotion, publicity and research—the Studio has opened more than 40 films at number one at the U.S. box office. In 2014, the Warner Bros. Pictures Group grossed $4.74 billion at the worldwide box office ($1.57 billion domestic, $3.17 international). The Pictures Group has exceeded $4 billion globally for the last six consecutive years, and its Domestic and International divisions have crossed $1 billion for 14 consecutive years, all milestones no other studio has achieved. Warner Bros. Pictures’ 2014 slate was nominated for 11 Academy Awards, including a Best Picture nomination for American Sniper. Among 2014’s releases, for which Kroll and her team designed global marketing campaigns, were Christopher Nolan’s sci-fi epic Interstellar, with a global box office of $674 million; Guillermo del Toro’s Godzilla, which took in $527 million globally; the critically acclaimed, franchise-launching The LEGO Movie, with a worldwide box office of $468 million; Doug Liman’s Tom Cruise futuristic thriller Edge of Tomorrow, which scored $370 million worldwide; the hit sequel to 2006’s 300, 300: Rise of an Empire, which reached $335 million globally; the horror hit Annabelle, which scared up $256 million worldwide; and Peter Jackson’s global phenomenon, The Hobbit: The Battle of the Five Armies, which took in $955 million worldwide. Previously, Kroll oversaw the marketing and awards campaigns for Ben Affleck’s Argo, which won Best Picture at the Academy Awards and earned over $232 million globally, and Academy Award Best Picture nominee Gravity, which soared past $715 million at the worldwide box office. She also oversaw campaigns for the billion-dollar blockbuster The Hobbit: An Unexpected Journey and its 2013 sequel The Hobbit: The Desolation of Smaug. Among the Studio’s other notable releases handled by Kroll and her team are Christopher Nolan’s Dark Knight trilogy, which concluded with the billion-dollar hit The Dark Knight Rises, and encompasses the record-breaking 2008 blockbuster The Dark Knight, which also grossed more than $1 billion worldwide; as well as the filmmaker’s Oscar®-winning Inception, which took in $827 million worldwide. Kroll previously spearheaded campaigns for many other global successes, including Harry Potter and the Deathly Hallows – Part 2, which boasted a worldwide gross of $1.3 billion, marking the end of the top-grossing Harry Potter film series, with global receipts reaching $7.7 billion; Sherlock Holmes and its sequel, Sherlock Holmes: A Game of Shadows, which together earned a combined gross of more than $1 billion worldwide; The Hangover trilogy, which combined has earned over $1.4 billion globally, including the highest-grossing R-rated comedy of all time, The Hangover: Part II. Kroll served as President of the International Marketing Division from 2000 through 2007, during which time she led campaigns for all the Studio’s releases overseas, including 32 films that grossed more than $100 million internationally. In 2004, Warner Bros. Pictures International crossed the $1 billion threshold in less than six months and the Studio went on to become the first ever to surpass the $2 billion mark internationally in a calendar year, with a $2.19 billion box office total. That record held until 2007, when the Division’s receipts of $2.24 billion set a new Studio record. During that tenure, Kroll oversaw the international marketing of such hits as the first five films in the blockbuster Harry Potter franchise, as well as such international successes as I Am Legend, Charlie and the Chocolate Factory, 300, the Ocean’s movies, Happy Feet, Beowulf, The Departed, Constantine, The Polar Express, Troy, The Last Samurai, The Matrix Trilogy, and Clint Eastwood’s Flags of Our Fathers and Letters from Iwo Jima. Kroll serves on the Board of Directors of Film Independent, the Los Angeles-based non-profit that produces the Spirit Awards and the Los Angeles Film Festival. She was presented with the Big Brothers Big Sisters of Los Angeles’ prestigious Sherry Lansing Award in 2009. Kroll joined Warner Bros. Pictures in 1994 to head Programming & Operations for Warner Bros. International Channels. In this capacity, she devised the strategy and launch of the Studio’s venture into the international branded cable channels business, which was developed to expand the company’s global television presence with the creation of thematic programming services. When the channels operations were shifted to Turner Broadcasting following the Time Warner merger with Turner, Kroll was asked to utilize her international marketing, branding and identity-building savvy in support of theatrical motion picture releases at Warner Bros. Pictures International, starting as a Senior Vice President prior to leading the Division. Kroll started her career in New York, where she worked over a seven-year period in various divisions of Viacom, including Showtime Networks Inc., The Movie Channel and Viewer’s Choice. She next relocated to Atlanta to head the marketing department at Turner Network Television (TNT), developing and directing all marketing and promotional campaigns for the network and its programs, including its original feature films, sports programming and special events. After four years, her role was expanded and she was named Senior Vice President and Managing Director of both TNT and Cartoon Network Europe. In this post, Kroll created the company’s first-ever overseas entertainment operations when she took the two networks to Europe. Relocating to London, she built and launched these networks from the ground up, developing and overseeing all operations for the networks’ eventual growth throughout the European marketplace. This marked a milestone for Turner Broadcasting as the company’s first entertainment venture outside of the United States. Kroll holds a bachelor’s degree in communications from Glassboro State University in New Jersey.